Introducing, the AeroSkip Professional Gold Speedrope. 17 years of scientific design and development, using only modern materials and technology helped to produce the worlds most advanced jump rope. What does that mean to you, namely maximum performance, efficiency, reliability and most importantly workouts that work! The AeroSkip Speedrope will far outperform and outlast, even the most expensive professional leather rope. Best performing most reliable jump rope anywhere in the world today. The AeroSkip Professional Gold Speedrope is made from a carefully constructed, balanced and stiffened PVC extrusion which allows supreme performance, feel and maximum life span. It had been designed for maximum performance on virtually every surface, even carpeted surfaces for a home workout. An AeroSkip® Professional Gold Speedrope is a light weight, high performance piece of Professional Sports Equipment. The AeroSkip® Speedrope handle has been scientifically fashioned to offer total ergonomic comfort. 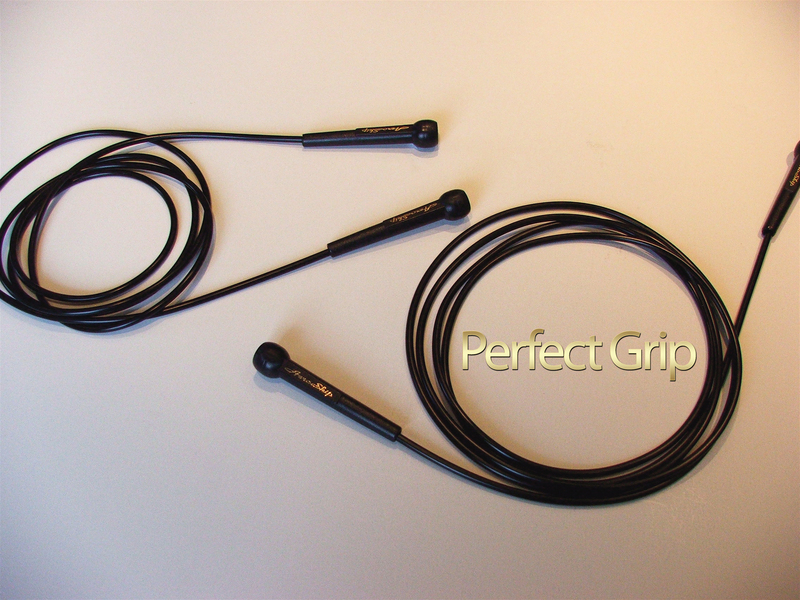 We call it the “perfect grip system”, as it is the perfect shape, size and weight for optimum skipping performance. It’s also extremely hard wearing, as the handle is made from a mould injected hard wearing talc filled polyethelene. This ensures minimum wear and tear, whilst still ensuring extreme lightweight and extreme performance. Increased comfort and ease of use over prolonged periods of usage. Lighter handle require less exertion. Better grip and lighter handles means there is much less chance of the rope slipping out of your hand and potentially causing damage. A lighter grip, requires less pressure and exertion and helps keep blood pressure lower. 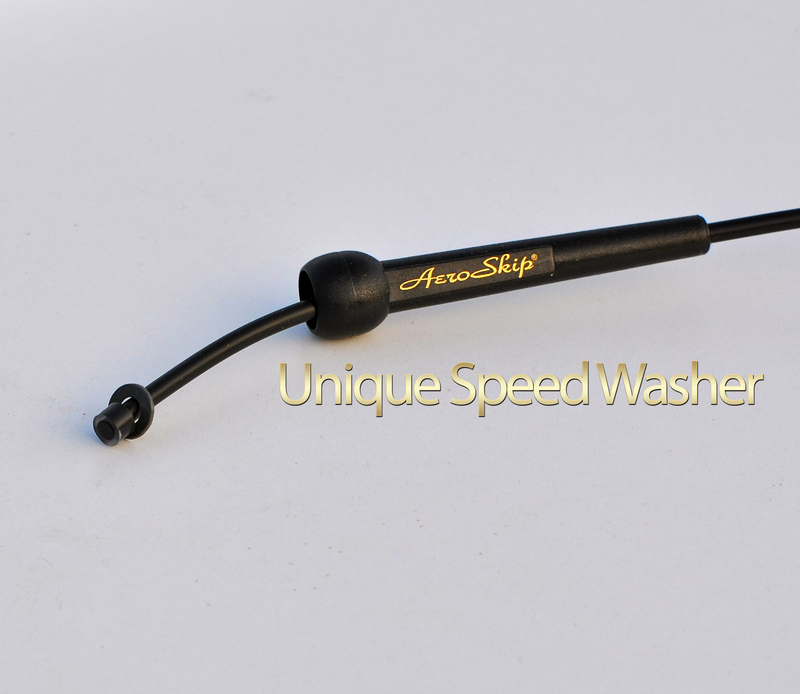 The AeroSkip Professional Gold Speedrope has an almost ”Friction Free Action”. This allows the rope to cut smoothly through the air, resulting in enhanced rotation. Therefore maximising the user’s health & fitness benefits. We have designed and developed a unique custom coated ‘Speedwasher’ that sits between the handles and the rope. So when the rope is in action, the inside of each handle gets coated with a fine layer from washer’s surface (a bit like a pencil action). This coating ensures that as you use it the Speedrope is constantly lubricated, resulting in a dramatic enhancement to the performance of the Speedrope and therefore a much better workout = Genius! Around the globe, parents are becoming more worried about child obeisty . Too much time is spent in front of the television or on games consoles and not enough time is spent outdoors getting exercise. That’s why the Junior AeroSkip programme was developed, as a way to reverse this trend and as a fun way to get kids back into exercise, encourage fitness and promote its importance. As a part of this programme AeroSkip has developed the Junior AeroSkip Speedrope. This is the worlds first professional speedrope aimed solely at kids. This speedrope has all the benefits of the Pro Gold adult range as it is made from exactly the same technology and materials. 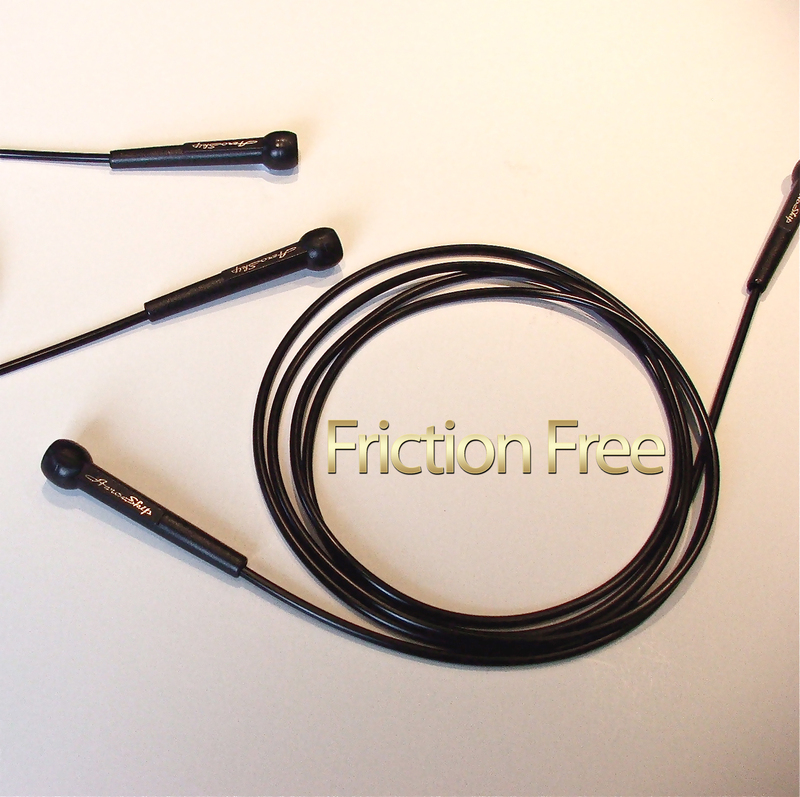 – It will outlast and outperform any other speedrope, anywhere. – Works just as well on any surface including concrete, tar, indoors, outdoors and even carpet. This rope will allow any Kid up the height of 5’ 9’′ to achieve fast and tangible health & fitness results. The Junior AeroSkip Speedrope is a simple and highly effective solution to getting our kids back into shape.